After four days of non-stop Amsterdam Dance Event, I was able to take a break and sniff some fumes. 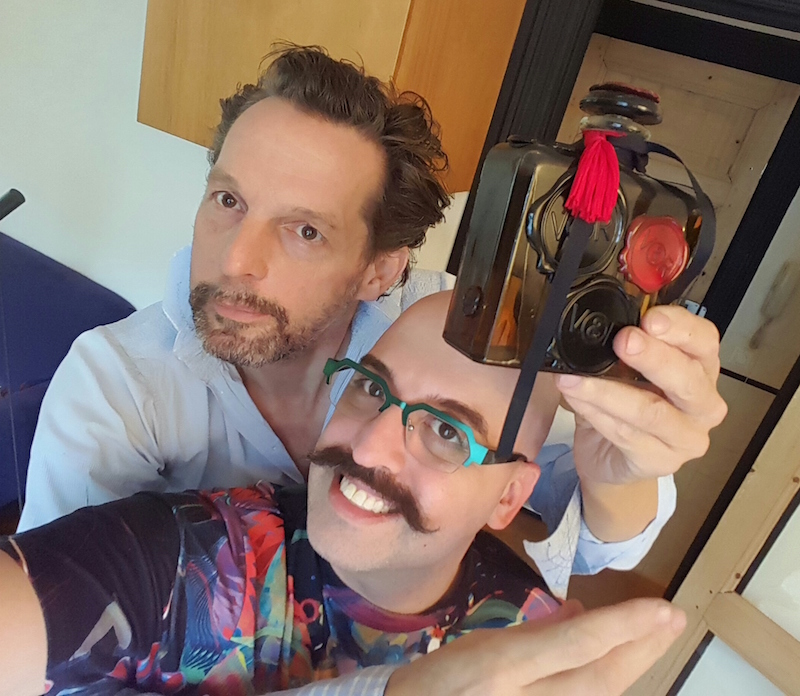 I took a walk to the home of Erik Zwaga (Geurengoeroe) and had a nice conversation with him about his history, art, and perfumes. So much of what he said resonated with me – that most designer fragrances are common, unmemorable, and don’t fit the designer’s brand. He mentioned that Thierry Mugler and Tom Ford as two lines that actually do fit their designer. I taught him the American usage of the word “basic,” which is a great description for many designer scents. Erik showed me his custom fragrance bottles and clothing. He upcycled several Serge Lutens bottles for a unique sculpture. A Chanel bottle was reimagined using mascara compacts. 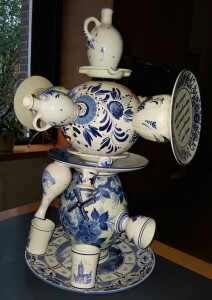 His perfume fountain, constructed from blue patterned ceramicware, was unbelievable. His goal is to create a unique line of upcycled fragrances for every store that picks up his scents. 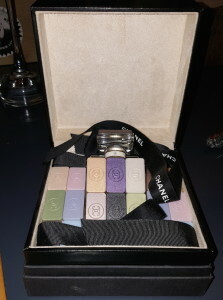 He gifted me with one of his upcoming scents, LGD – Let’s Get Drunk, which smelled great on my skin. The list of more than 20 fragrances that went into the mix was fascinating. Watch for the interview coming soon. I decided to go to Skins to check out Erik’s day of the week line. 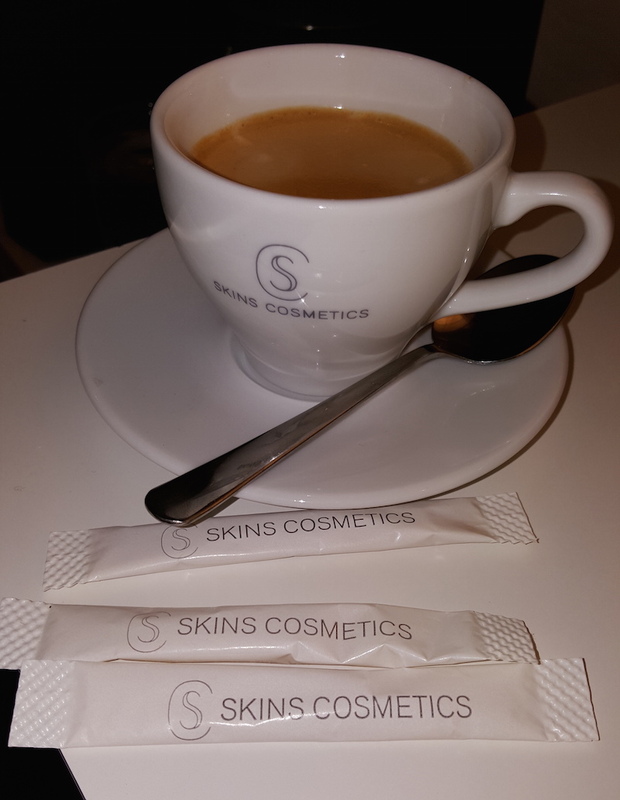 Skins is just as I remember it, complete with many international niche lines and a few things from smaller lines that aren’t seen often. I sniffed Erik’s Days of the Week and it was Thursday, Ambracadabra that I loved (go figure). A mix of three ambers (Noir Brecourt, Reminiscence, Parfume D’empire Ambre Russe) along with 10 other scents made a sweet yet dirty scent that felt very me. As I left the shop, I bumped into the House of Virus guys who were sitting at a bar across the seat. 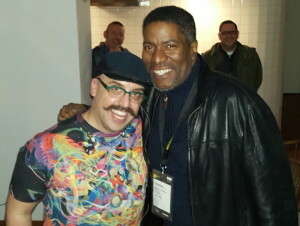 My last DJ interviews of the week were with them and the legendary Marshall Jefferson (“Move Your Body”). The duo of guys from across the globe (Lithuania and Ireland) under the mentorship of the Chicago house forefather shows how people from across the globe with different backgrounds can unite together to make great music. That is the same feeling I get as I explore the fragrance world.